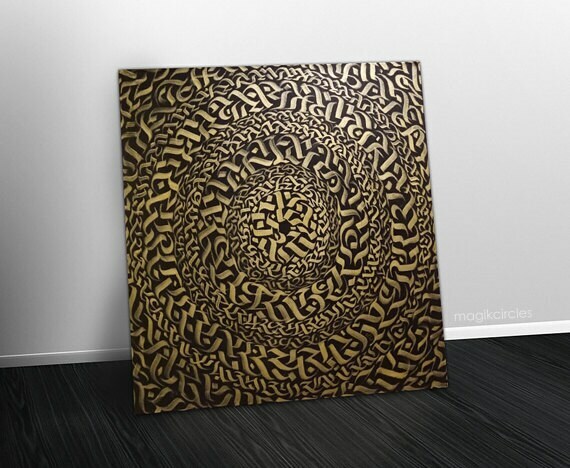 This abstract calligraphy mandala is hand painted using gold acrylic on a black background. 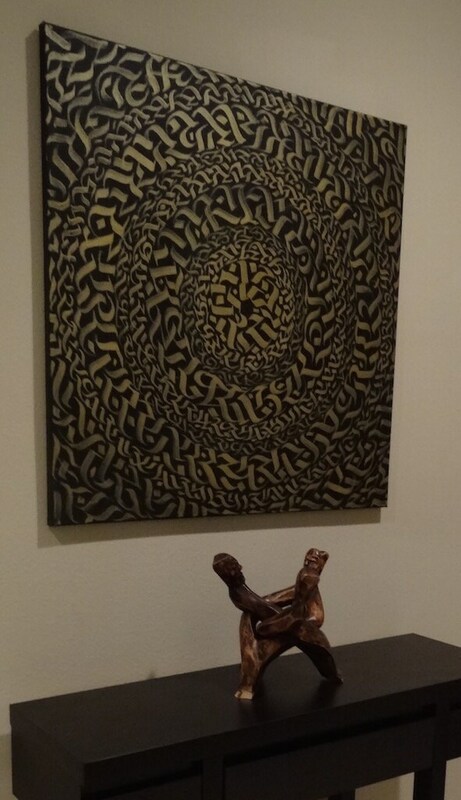 It is painted on a stretched canvas and is hand signed by the artist. 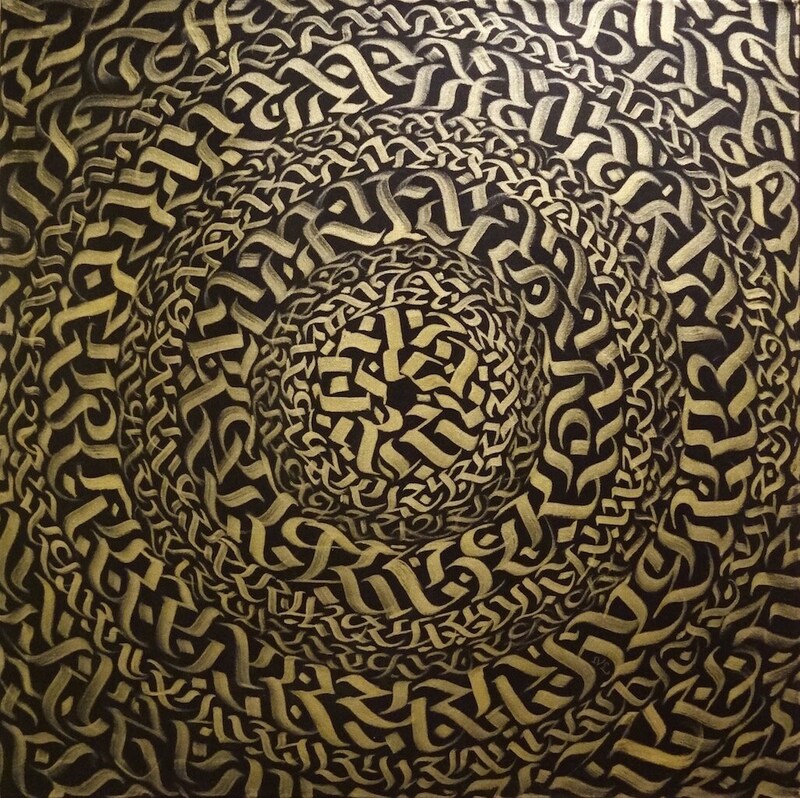 It is a square canvas measuring 30" by 30". 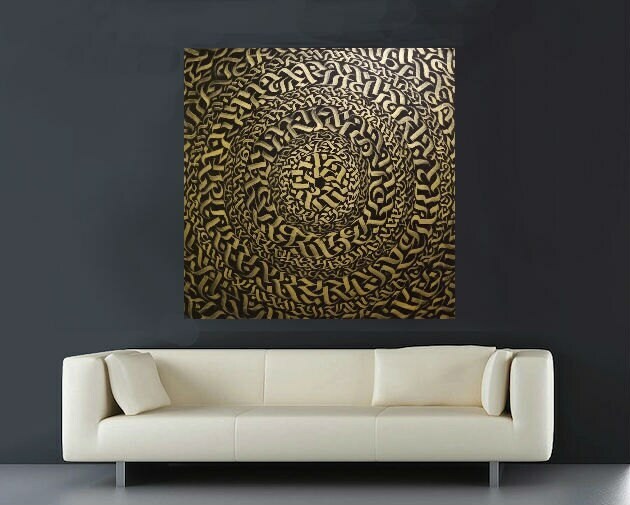 The artwork pictured has been sold but you will get your own one-of-a-kind original art piece in a very similar pattern and style. Canvas will be placed in a clear plastic and enclosed in foam and cardboard for protection during shipping. Hello, my name is Ive and I'm the artist behind MagikCircles. 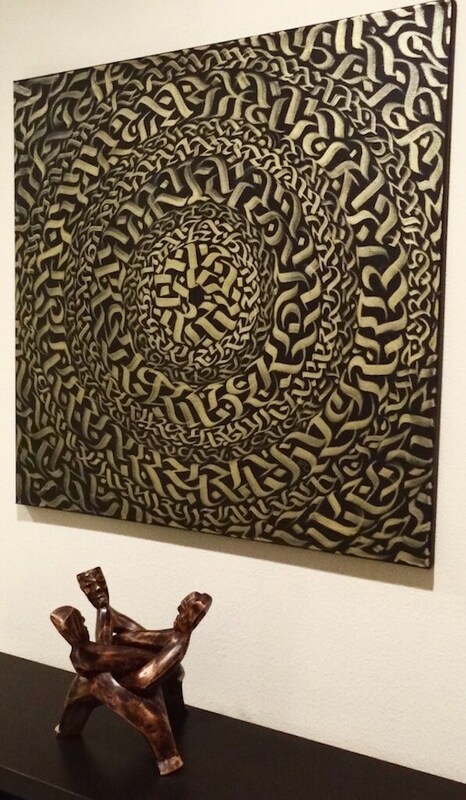 I specialize in creating free-flowing calligraphy flourishes, often arranged in circular patterns. Feel free to message me with questions or requests. Thank you for visiting!